Interior illustration for a new collector's edition of THE DARK TOWER: THE GUNSLINGER by Stephen King which includes his story LITTLE SISTERS OF ELURIA. 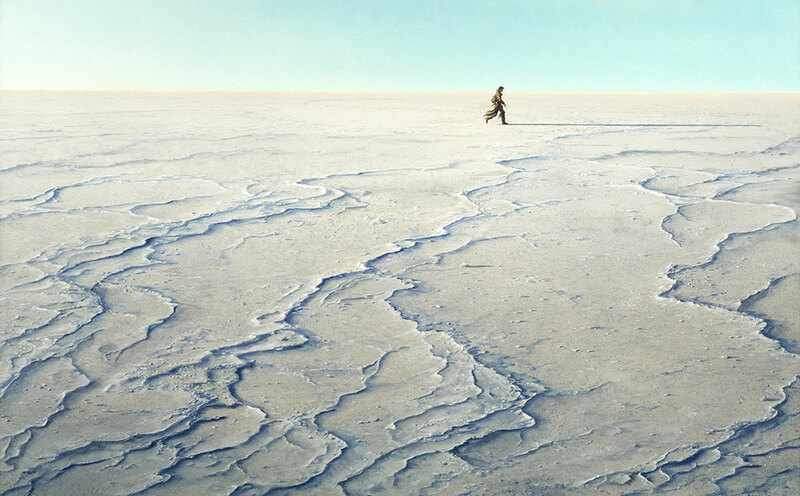 Overnight camping in the salt flat deserts of Utah provided the inspiration. This 4,000 copy Limited Artist Edition is numbered and is signed by Michael Whelan. It is issued in a foil stamped slipcase. Published in a larger format than the Dark Tower series which enhances Michael Whelan's thirteen full color plates and over twenty-three black & white designs. "The Man in Black fled across the desert and the Gunslinger followed." 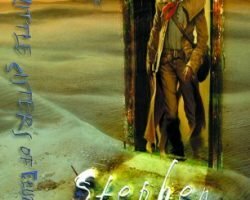 This is our introduction to Roland Deschain, the last Gunslinger, published by Donald M. Grant in THE DARK TOWER: THE GUNSLINGER in 1982. Twenty years later Stephen King revised and expanded this volume. In his own words: "What I did want to do was to give newcomers to the tale of the Tower (and old readers who want to refresh their memories) a clearer start and a slightly easier entry into Roland's world. I also wanted them to have a volume that more effectively foreshadowed coming events. 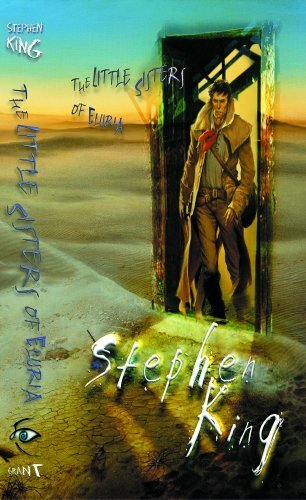 This volume contains that expanded version as well as the novella THE LITTLE SISTERS OF ELURIA which chronicles an earlier adventure of Roland's as he persued the Man in Black.